Welcome To Creatives and Business LLC! Creatives and Business LLC is about helping artists and other creative professionals run and market their business more effectively. Whether you are just starting out or have an established art business we have the tools and resources to help you become more successful. Art Marketing – Ideas to help you build your brand, find customers, and develop effective advertising, public relations and social media programs. Finance and Accounting – How to tackle those tedious but necessary tasks that can make or break your business. General Business – Whether it is setting up your business or making sure your intellectual property is protected we have some great information for you. Data Mining for Arts & Cultural Organizations – Improve your marketing by using simple market research tools combined with advanced data mining techniques. You don’t need to be a data scientist or have a bank of computer servers to use the techniques now being utilized by businesses around the world. Neil McKenzie has over 30 years experience as a management consultant and corporate marketing research executive. He has worked with hundreds of organizations to develop business and marketing plans, including some of the world’s top brands. He now provided market research and advanced data analysis techniques to arts and cultural organizations. Neil was a visiting professor at the Center for Innovation at Metropolitan State College Denver, where he developed and taught the cutting-edge course, Artrepreneurship; and at University College at the University of Denver, where he developed and taught the graduate course, Marketing for the Arts. Neil offers guidance to artists and arts organizations in the areas of business/marketing planning, market research and data analysis. 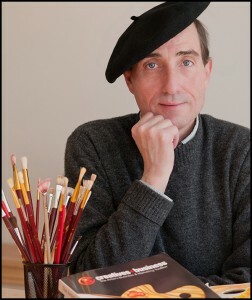 Neil is a frequent guest lecturer to artists and organizations in the creative sector. He has written columns for ColoradoBiz Magazine on the creative economy, as well as numerous articles for Americans for the Arts, a national arts organization and re:sculpt for the International Sculpture Center.